There’s various theories about what ‘Lucky Pierre’ means (and the wiki entry doesn’t list one in particular), but for those of you not aware, L.Pierre is one of the monikers that Aidan Moffat records under. 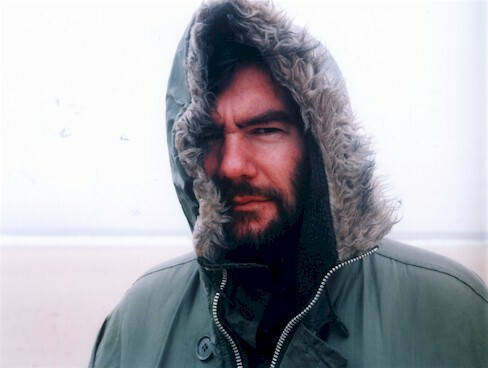 Over the years, he’s also recorded as part of The Sick Anchors (with Stuart Braithwaite of Mogwai), with jazzman Bill Wells, as part of the scots indie collective The Reindeer Section, fronting his own band and of course, as one half of Arab Strap with Malcolm Middleton. His latest release is an EP, Surface Noise, which has been described as being an affectionate tribute to the wear and tear of vinyl (I know there’s a growing trend in cassettes, fer Chrissakes, and there are American blokes who fetishise the 8-track cartridge, but I cannot see this happening with mp3s). Released on September 16, the six tracks are awesome. Don’t just take my word for it, go and buy it when it comes out. * Strange story. Nearly ten years ago, I was DJing at Fopp in Edinburgh for the launch night of Sons & Daughters’ Love The Cup album. This remix was playing when Sons & Daughters arrived. For reasons I do not know, the look that Ailidh Lennon gave me when she heard me playing that could have shattered glass (maybe she was sick of my gazing at her at gigs). 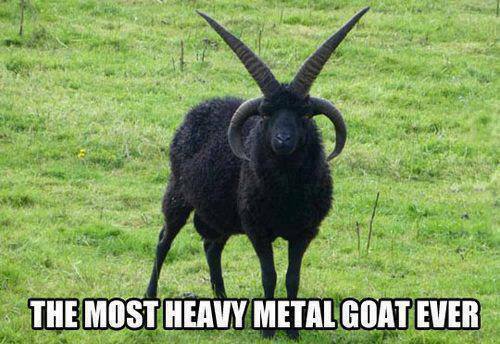 I never knew why. I did lend Scott Paterson my guitar strap and he later gave me a beer backstage at a gig where Sons & Daughters played with Aberfeldy and the Fire Engines. For someone like this reviewer who has got really fed-up with a surfeit of singer-songwriters, it is a mark of how great this record is that I have played it so often before sitting down to review it. Erstwhile leader of The Sixers (no, me neither – but on the strength of this album I really ought to investigate) it’s really a rather wonderful record. The title doffs its’ cap to Charles Dickens’ David Copperfield, but this is a very American record, in terms of its lyrical concerns and sound. Americana and folk are labels that are branded around to the point of bordering on the meaningless, but there’s evidence of both here. If I could compare him to two other artists, then it would probably be Tom Petty for the sound and Bruce Springsteen for the lyrical concerns. The centrepiece of the record has to be the penultimate ‘Thanksgiving’ which at ten minutes long (wait! come back!) sums up the life of a man from birth to death and all inbetween. And it doesn’t feel like ten minutes either. A strong piece of work, don’t let it pass under your radar. 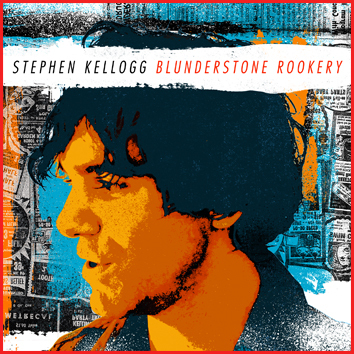 Blunderstone Rookery is out on August 12 on Bread and Butter Music. 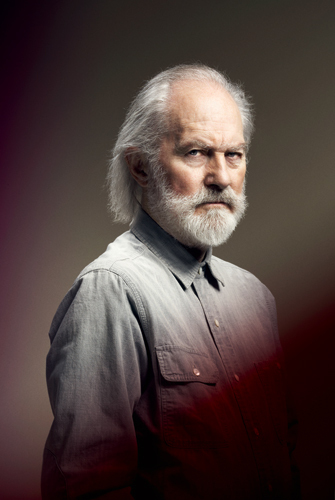 Roy Harper – he’s back! Perhaps the interview I am most proud of doing above all others is my interview with Roy Harper in 2011 (read it here). Stanley Odd, Queen’s Hall, Edinburgh, August 2. Edinburgh’s Queen’s Hall has some of the best programming of anywhere in the Scottish Capital, and not just during the month of August. And before anyone says it, no, I’m not on a retainer for saying that. Stanley Odd have been around for a few years now, and their profile has risen considerably with the release of their two albums, Oddio and Reject. This is, in fact, their only Edinburgh gig this entire year. A sure sign that you’ve made a serious impression, when you are only doing one gig in the space of a year in your home town. The thing is, they’re going places because people have woken up to to, frankly, just how sodding great Stanley Odd are. Tonight they’re backed by the Electric String Orchestra, who they played with at Celtioc Connections in Glasgow earlier this year. And when firm favourites like ‘The Numbness’ ‘Killergram’ and ‘Get Out My Headspace’ are bolstered by the ESO, it’s truly something to behold. So yes, there will be those who can’t see beyond the idea of any Scottish Hip-Hop act being some kind of a novelty. But like fellow city stars Young Fathers, Stanley Odd are keeping it real (no rapping like how they perceive an LA gang member to do), and the only way is up. As I’m typing this, I’m listening to this album, Hell Awaits by Slayer, very loud, very fast and really very good (just for the record: I streamed this album on YouTube last week, and then went and bought the album. Anyone who tells you that streaming stops people buying music is wrong, it’s more likely to encourage people to buy it). 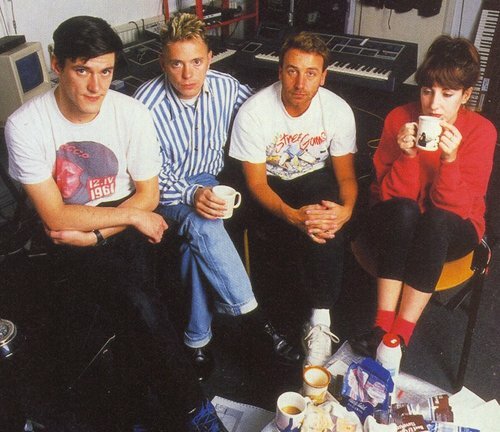 I’ve been on a bit of a New Order thing of late, and I’m still of the opinion that Technique, from 1989 (and an album I bought on cassette, aged twelve!) is their finest.